Getting married? Then you’re probably in the midst of endless details and to-do lists right now. You may be wondering where to start, what to prioritize, and how to get things done. And the idea that you haven’t created your wedding registry yet makes things just a bit more overwhelming. But thankfully, Amazon offers a free wedding registry that provides flexibility and on-the-go convenience. It’s seriously perfect for busy couples who need all the time and energy they can get. And knowing Amazon (and it’s variety) you can add a lot of products to your wedding registry list, from decorative pieces, kitchen utensils, bedding and bathroom items, furniture, clothing, electronics, and so much more. Everything you need for your newlywed home can be found here. Amazon will also give you a one-time 10% – 20% discount, if you’re an Amazon Prime member, on select items from your registry after your big date that you didn’t receive. So just in case a few gifts weren’t purchased from your list, you can still get them with the discount up to 90 days after your wedding. Alright, that’s a lot to read, I know, but if you’re thinking of trying out Amazon’s wedding registry, here’s what you need to know. So check it out and let me know what you think! WARNING: There are some important points in here, so make sure to read it all over. First, visit the Wedding Registry page and click the “Create your Wedding Registry” button (pretty easy right?). You can easily sign up your wedding registry here! Fill out the information about you and your partner, your mailing address, wedding date, etc. You will be asked a few simple questions about yourself, your wedding, and finally your privacy. Browse the suggested items, or simply search Amazon yourself and click the “Add to Wedding Registry” button on each individual product. Like I mentioned above, you can find millions of products on Amazon so get everything you’ll need to start a life together. If by chance you want something that Amazon doesn’t have, add items from other websites. Follow the process for whichever browser you use and you can have everything you want in one place! You can add pictures, comments, and priorities to your Registry. Then simply share it through email and social media. Side Note: You can edit your profile information anytime and add more items directly from the registry suggestions. Of course, who doesn’t like free stuff? When you register for certain items from selected vendors, you can get gifts for free when your guests make a purchase! A Thank You List is automatically created for items purchased from your Registry. Amazon will take care of this and when it’s time to send a thank you cards, all the info is right there for you. I really hope you found this post helpful! 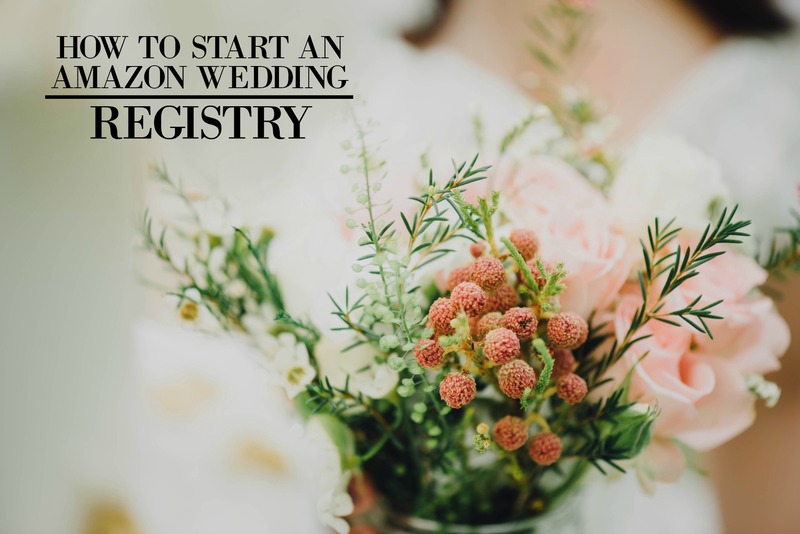 And whether you’re getting married or thinking of wedding gifts, having an Amazon wedding registry will definitely save you so much time and money. It’s convenient and definitely takes the stress out of planning. So give it a try and let me know what you think! Now if you have any questions just let me know in the comments down below. I’d love to hear them!